What will the car look like by the time the petrol and diesel combustion engine is banned from sale? Will we still be driving, or will we be living in a utopia filled with gleaming white pods silently whizzing about the streets ferrying people to and fro? The car of the future is still in flux. 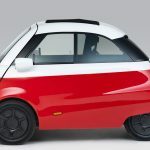 While many agree that it will be autonomous, will hopefully be accident-free, probably battery powered and will likely be radically different on the inside, if still familiar on the outside, there are broadly two routes down which the car can wind to 2040. The first is the model we are familiar with: car ownership. There are more than 34.4m cars on British roads, with a new record of 2.69m sold in 2016 in an industry worth £77.5bn a year, according to the Society of Motor Manufacturers and Traders. It’s clear the British still love their cars. Automotive manufacturers across the globe would love nothing more than the current model of private car ownership to continue. A car parked outside every home, new models bought on registration plate changes and regular servicing at your local garage, just with the car able to drive itself there for a robot to do the work. That route could see the car transform from a vehicle into a moving personal space. Once it drives itself, there’s no need to have the traditional layout – or even to face forward. 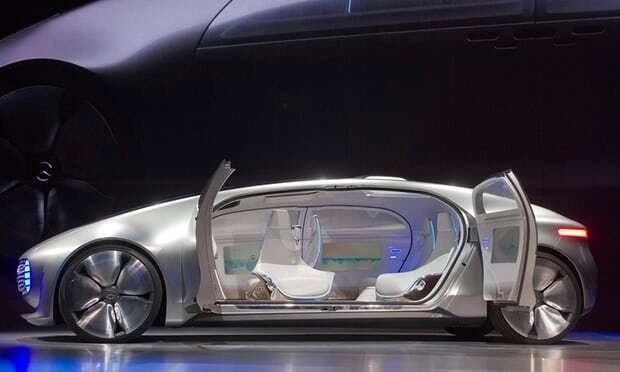 Mike Ramsey, a research director for Gartner, said: “The inside of the vehicle of 2040 will be luxurious. Indeed, cars that are personally owned are likely to become increasingly luxurious, as people who use a car for simple commuting either will be buying used models or using mobility services. Mercedes showed off the F 015 Luxury in Motion concept car at CES in Las Vegas in 2015, which had vast doors with pillar-less frames through which the passengers stepped into four seats facing each other with screens in the doors. Others have envisioned pods rather than traditional-looking cars where the space inside the car is less a driving machine and more of a mobile office or lounge. Research by car black-box insurance firm Ingenie found the key changes for cars between now and 2045 will be the adoption of technologies already in use in other areas. Instead of a key you could have a fingerprint sensor, iris scanner or other biometric system to identify you as you walk up and open the door. The windows will be active with touchscreens and gesture controls, and the cars would not only be autonomous but smart on the inside, with computers programmed to do your bidding. You’ll get into your car, tell it you’re heading into work and it will communicate with streets, cars and infrastructure to find the best route not only for you, but the flow of other commuters. You’ll then sit back and wait for the car to drop you off at the door. Once you and your fellow travelling companions have disembarked, the car will then head to the nearest charging station to park up for the day, awaiting your command to return and whisk you home, off to the theatre, the local sports complex or to the pub, which has been given a new lease of life now no one has to be be sober to get home. The other road to the 2040 car is the exact opposite. Once cars are fully autonomous there’s no reason they couldn’t become a service rather than something you buy and own. Car clubs such as ZipCar already offer cars without ownership, while services such as Uber and Lyft provide on-demand transport wherever you want to go. Take the human element of out the equation and it’s not hard to envision a world populated, not by cars, but by public transport pods. 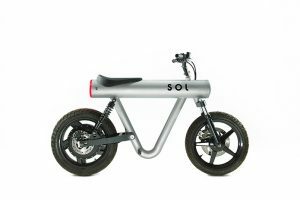 Order one, it comes and picks you up, drops you off and then zips off to the next person or back to the charger. In doing so it would see cars switched to a 90% used state, rather than sitting around unused most of the day, and in doing so could reduce the number of vehicles on the road. 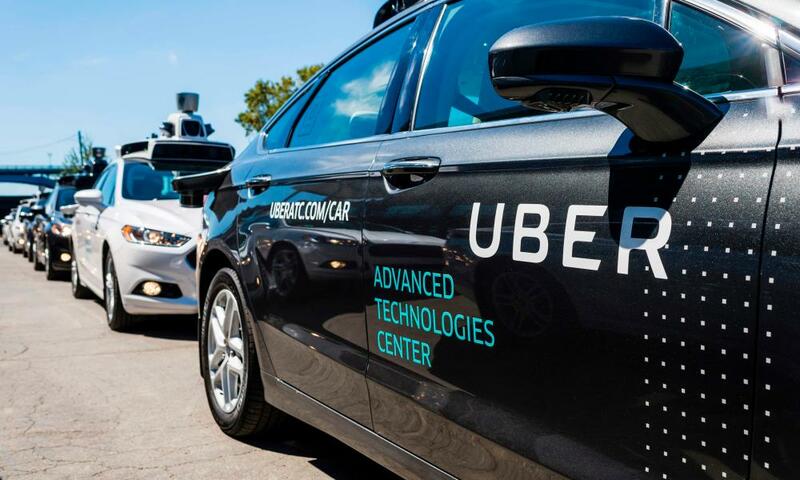 Uber, Lyft and other taxi firms have ploughed vast sums into autonomous vehicle research to that end, while many of Britain’s autonomous car developments have been focused on services that mimic public transport. A mixture of the two or some other hybrid by the time 2040 rolls around is entirely possible, and there may be a period when human drivers will be banned or at the very least driving for transport rather than leisure will be seen as the exception. What is clear is that motors powering the cars of 2040 will be some form of electric, which means more batteries, silent running and charging stations everywhere. Chargers, châteaux and the Channel Tunnel: can you really do a driving holiday in a Tesla? 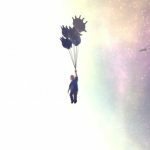 This entry was posted in TECH and tagged Analysis, Article, Electric, Environment, hybrid and low-emission cars, Main section, Motoring, Samuel Gibbs, Self-driving cars, Technology, The Guardian, Transport, Travel and transport, UK news, UK Technology. Bookmark the permalink.